Jakarta, Indonesia CNN – the United Liberation Movement for West Papua (ULMWP) has handed over a petition that was signed by 1.8 million people to demand a referendum on the independence of West Papua to the Chairperson of the Human Rights Council of the United Nations ( UN ), Michelle Bachelet. “Today is a historic day for me and my people. 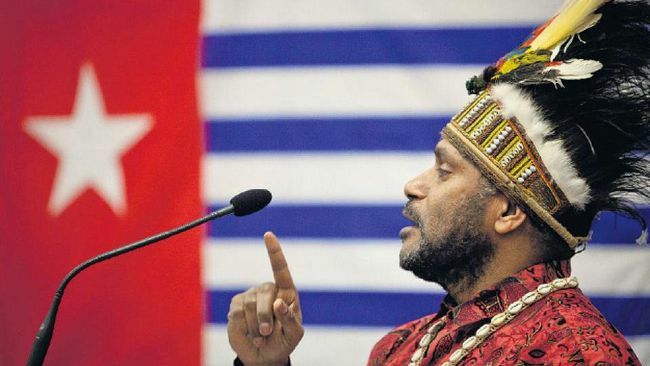 I consider this petition to be the bones of the people of West Papua, to represent all the people who have been killed,” said Chair of the ULMWP, Benny Wenda, in Geneva, Switzerland, quoted by Reuters on Monday (1/28). Benny said that under Indonesian rule, Papuans did not have the freedom of opinion, expression and assembly. He considers the only way to get that freedom through a referendum on independence represented by this petition signed by almost three-quarters of the total 2.5 million Papuans. “This (petition) weighs 40 kilograms, like the biggest book in the world,” Benny said.